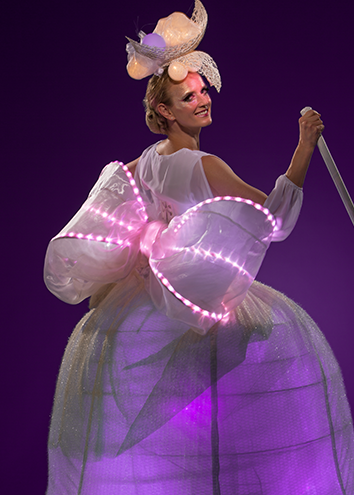 Lovely, airy and elegant, the Light Belles fizz and float like colourful bubbles in a glass of champagne. 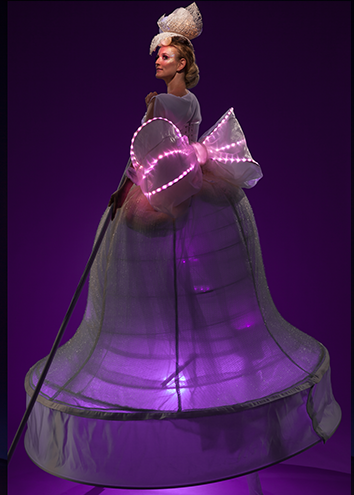 Programmed to display any colour or sequence of colours you desire and available with or without masks, the Light Belles are sure to make your event memorable and unique. We would love to come to brighten up your event! 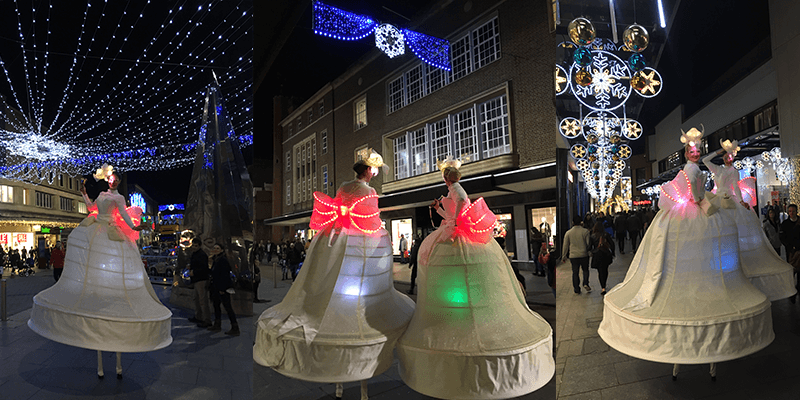 Parades, Diwali, Halloween, Venetian Ball, Christmas, Light Turn On, Wedding and Festival of Lights. 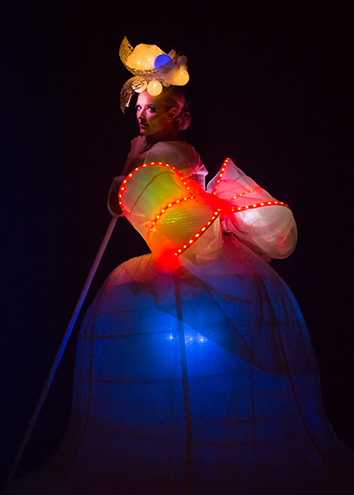 For more pictures from Light Belles shows and behind the scene information, search for #LightBelleStilts both on our Facebook page and on our Instagram account.